The Earth is not Flat because it has mountains and different land areas above sea level and the Earth is not a Planet (Greek, Planetes, meaning, wanderer) because it does not move. The Sun, Moon and Stars move from East to West in a Clockwise direction but the North Star always keeps its relative position above the Arctic sky. The Antarctic, the continuous ice wall, keeps the world oceans in place. Antarctica is not the sort of place you would want to go to for a holiday! 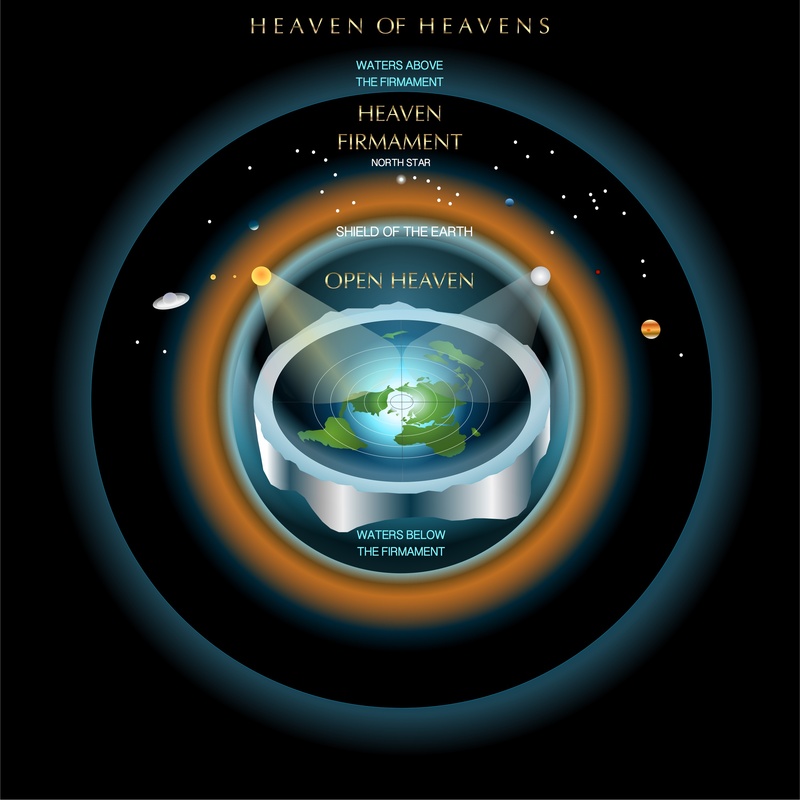 From a Biblical viewpoint, these illustrations give some idea of how the Universe works in relation to the Earth. You can find more detail in the Scriptures, where our Creator tells us how it was formed in GENESIS 1.